Exbon’s culture is grounded in integrity and respect. 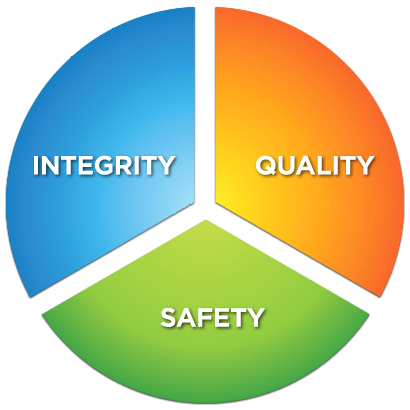 This means working to the highest standards of ethical business culture. Our reputation for adhering to these standards is one of our most valuable assets. Exbon is built upon relentless pursuit of perfection. The reliability of our performance and the enduring quality of our projects are evidenced in our quality work for our customers. We continually strive to improve our performance through other endeavors. At Exbon, we believe every accident is preventable, and we continue our pursuit of doing our work with zero accidents. No other number is acceptable. We mandate that our project managers and safety officers should be certified in 30 HRS 29 CFR 1926 OSHA Construction and Safety Training and USACE EM 385-1-1 Training. Furthermore, we provide an average of 24 hours of formal safety training to applicable project managers and safety officers every year.